(1) The Host is a registered business offering hosting services to clients using all appropriate hardware providers connected to the world wide web via the internet. 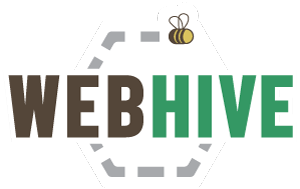 The terms “we”, “us” or “our” shall refer to Web Hive. The terms “you”, “your”, “User” or “customer” shall refer to any individual or entity who accepts this Agreement (The Client). Nothing in this Agreement shall be deemed to confer any third-party rights or benefits. The Host reserves the right to change the terms of this Agreement and all other terms and conditions and policies which may affect Clients in order to comply with changes in the law. The Client will be informed of any such changes and shall be deemed to be bound by them 1 calendar month after receiving the notice. If the Client does not agree to be bound by the changes they may terminate this Agreement in accordance with the Term and Termination clause of this Agreement. Where the Client and/or the Client’s users are unable to access/use the Client’s Website, the Client shall first ascertain whether the inability of access/use is caused by a failure on the part of the Client’s and/or its users’ internet service provider and/or equipment. After performing these checks the Client shall contact the Host using the following details: Email: support@webhivehq.com or telephone: 705 309 2125. We offer a Service uptime guarantee of 99.9% (“Service Uptime Guarantee”) of available time per month. If we fail to maintain this Service Uptime Guarantee in a particular month (as solely determined by us), you may contact us and request a credit of 5% of your monthly hosting fee for that month. The credit may be used only for the purchase of further products and services from us and is exclusive of any applicable taxes. The Service Uptime Guarantee does not apply to service interruptions caused by: (1) periodic scheduled maintenance or repairs we may undertake from time to time; (2) interruptions caused by you from custom scripting, coding or the installation of third-party applications; (3) outages that do not affect the appearance of your website but merely affect access to your website such as FTP and email; (4) causes beyond our control or that are not reasonably foreseeable; and (5) outages related to the reliability of certain programming environments. All fees payable by the Client to the Host shall be paid in full, without deduction. Interest shall be payable on overdue amounts at the rate of 3% monthly. Failure to pay any overdue invoices including associated late fees may result in loss of hosting and email services. Distribution of large volumes of unsolicited email (spam) to recipients. All complaints made to the Host of such activity will be investigated and may result in immediate suspension or cancellation of service at the Host’s sole discretion. Use of the Client’s Website in any manner which is a violation or infringement of the rights of any individual, firm or company within Canada and elsewhere. The Client will use its best and reasonable endeavors to supply all information required to facilitate the provision of the Service to the Host in a timely fashion. Backups. The client is responsible for their own backups unless otherwise paying for a backup service through Web Hive. Maintenance. The client is expected to maintain their own WordPress, Drupal or other CMS systems unless otherwise paying for a maintenance package. Subsequent periods of Service Provision shall last for a period of 12 months each and will follow on from a previous period, without interruption, subject to the fulfillment of the Client’s obligations under the Fees and Payment Clause of this Agreement. All subsequent periods are subject to the termination provisions below. Either party commits a serious, grave or material breach or persistent breaches of this Contract including non performance, default or neglect of its duties, responsibilities, and obligations under this Contract, and Such breach remains unremedied for a period of 30 days from written notice given by the other party specifying the breach and requiring its remedy; or Such breach is not capable of remedy. If the Client has a receiver, manager, administrator or administrative receiver appointed over all or a substantial part of its undertakings, assets, or income; has passed a resolution for its winding up, or is the subject of a petition presented to a court for its winding up or for an administration order. Any issuing of refunds is at the sole discretion of the Host. If the Client wishes to terminate during the course of a 12 month period of Service provision the Service will end 1 month after the Host receives the Client’s notice. On termination of the Service and this Agreement, the Client’s Website and all related material will be removed from the Hosting Hardware. If the Client sends a termination notice in error or changes their mind, the Host must be informed within 2 months of the notice that the Client wishes their Account to be restored. Any notification outside of this period will require a new Account to be set up, with the Client being required to pay for a full 12 month period. The Client will be required to pay a re-activation fee of $100.00 plus HST. Any costs incurred by the Host upon termination of the contract. This Agreement will automatically renew for successive twelve (12) month (or 1 month Terms depending on the client’s chosen plan), unless canceled in writing by Client at least 30 days prior to the end of Term renewal date. Renewal prices are subject to change. Renewal of services by Client indicates agreement to any Contract revisions and price changes to which the client will be notified of 30 days prior to their effective date. The client will automatically be invoiced for all renewals. Failure by either party to enforce any accrued rights under this Agreement is not to be taken as or deemed to be a waiver of those rights unless the waiving party acknowledges the waiver in writing. It is hereby declared that the foregoing paragraphs, sub-paragraphs, and clauses of this Agreement shall be read and construed independently of each other. Should any part of this Agreement or its paragraphs, sub-paragraphs or clauses be found invalid it shall not affect the remaining paragraphs, sub-paragraphs, and clauses. This Agreement sets out the entire contract and understanding of the parties and is in substitution of any previous written or oral Agreements between the parties.